Press Release: Trail Fund NZ and Black Seal Imports announce 1% for Trails program to help fund trail development in New Zealand. May 29th 2013 - Trail Fund New Zealand Incorporated (Trail Fund NZ) and Black Seal Imports today announced that Black Seal would be donating 1% of all revenue from sales to support the work of Trail Fund NZ. The funds raised will be used by Trail Fund NZ to support the development and maintenance of publicly accessible, environmentally sensitive and sustainable mountain-bike trails around New Zealand. Black Seal represents top brands in New Zealand including Yeti Cycles, Urge Bike, cSixx and Brake Authority and was founded by former professional mountain bike racer and Olympian Kashi Leuchs. "We're very excited to be able to support Trail Fund NZ. An important part of why we are in this business is to inspire people to ride bikes more often and supporting trails is one of the ways we can do that.” says Leuchs. 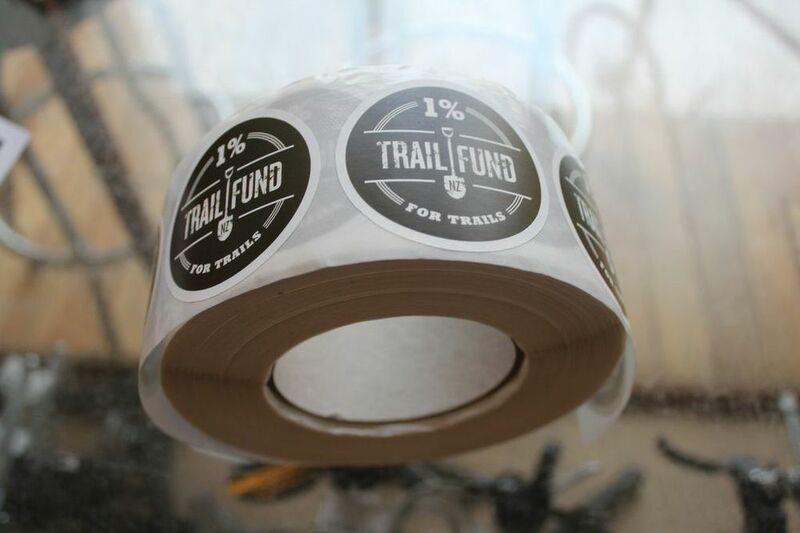 Mountain bikers will be able to look for the "1% for Trails" stickers in store and online to see products that are contributing back to New Zealand mountain bike trails. Launched in January 2013, Trail Fund NZ is a not-for-profit that supports volunteerled trail projects around New Zealand through fund raising, awareness and education. It has quickly built support within both the mountain bike community as well as the cycling and outdoors industry and awarded its first round of grants in April 2013. Trail Fund NZ Chairperson Ben Wilde sees the partnership with Black Seal as a first step towards more sustainable support for trails in New Zealand by the mountain bike industry. "This commitment from Kashi and the Black Seal team is outstanding." says Wilde. "It is exactly this sort of financial support for trails in New Zealand that we need from the industry to keep our sport moving forward." About Trail Fund New Zealand Incorporated Trail Fund NZ is a not-for-profit project founded to support the development and maintenance of publicly accessible, environmentally sensitive and sustainable mountain-bike accessible trails in New Zealand. About Black Seal Imports Black Seal Imports distributes Yeti Cycles, Urge Bike Helmets, cSixx Chain Guides and Brake Authority Pads in New Zealand. Its vision is to create a more sustainable, fun company and still give back to the cycling community as a whole.